Doubts have been raised over whether Queensland’s coal seam gas fields can produce enough to feed Curtis Island’s LNG export plants, with claims that many wells are not meeting production expectations. Houston-based drilling suppler, Superior Energy Services, said it is forecasting growth in the sunshine state on the back of poor well performance. The company, which employs more than 14,000 people worldwide and boasts a turnover of $US4bn says its eastern Australian business is set for a growth spurt, The Australian reported. "When we are talking to the operators in Queensland, we hear from them that the coal-seam gas (wells) that currently have been drilled are actually not meeting the production expectations," SES head of Asia Pacific, Ruud Boendermaker, told investors last week. Boendermaker said the coal seams are not as homogeneous or permeable as expected, claiming this has led to poor well performance. SES did not say which projects needed more wells, or which areas in the state were experiencing issues, however the company’s Toowoomba office contracts to drillers rather than to the LNG proponents directly. While it has been reported that a number of dry wells have been an issue for another proponent. 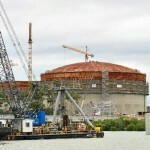 However, the claims have been rubbished by the three proponents running the LNG projects at Gladstone. A Santos spokesman said drilling activity for the Santos Gladstone LNG project was on track and delivering consistent results. "We have a good understanding of the geology and there are no surprises," he said. While Origin said the gas required to run its Australia Pacific LNG joint venture is also running to schedule. "The project has a sufficient resource base to meet its gas requirements to service both domestic contracts and international LNG offtake agreements," a spokeswoman said. 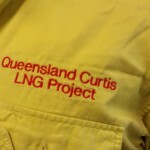 QCLNG is the most advanced of the LNG projects on Curtis Island, with first gas expected in 2014. 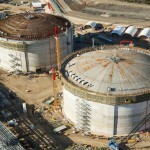 Many predict the LNG projects under construction will lift Australia from the fourth largest LNG producer to the first, knocking Qatar off its perch.